Save all source code and all development history. Deploy easily: After each commit an automatic build will be performed. Get the newest version by simply downloading the build artifact after a few seconds. 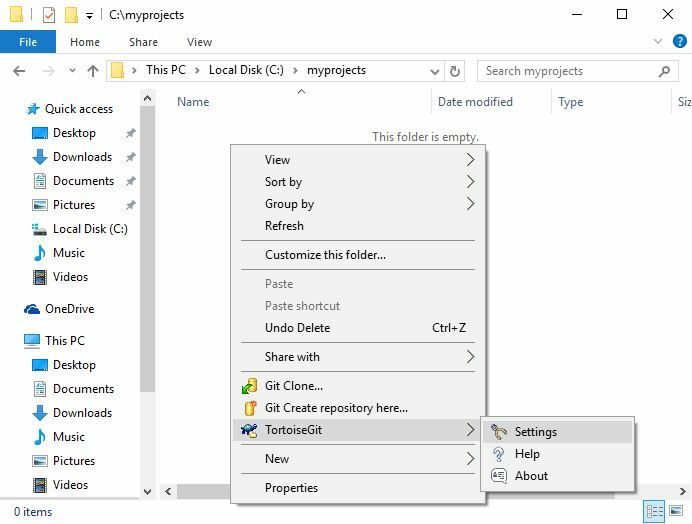 At the moment (12/2017) we recommend using TortoiseGit as the graphical client for Git on Windows. 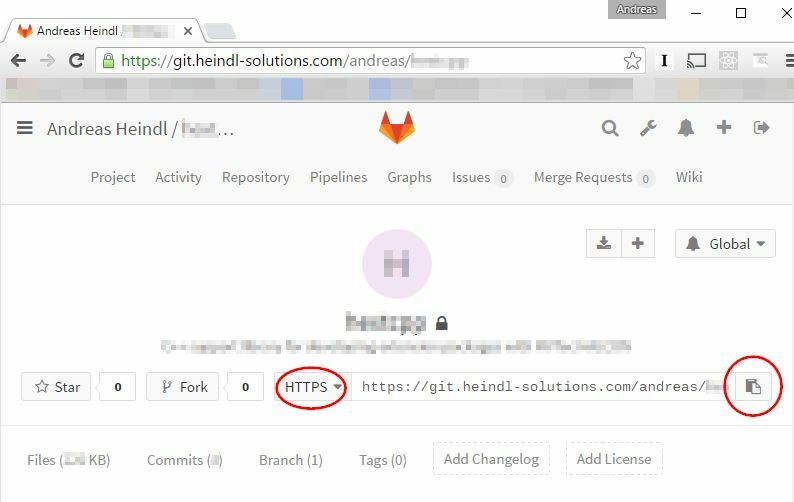 Here we describe how it can be used together with the GitLab service running at https://www.git.heindl-solutions.com/. 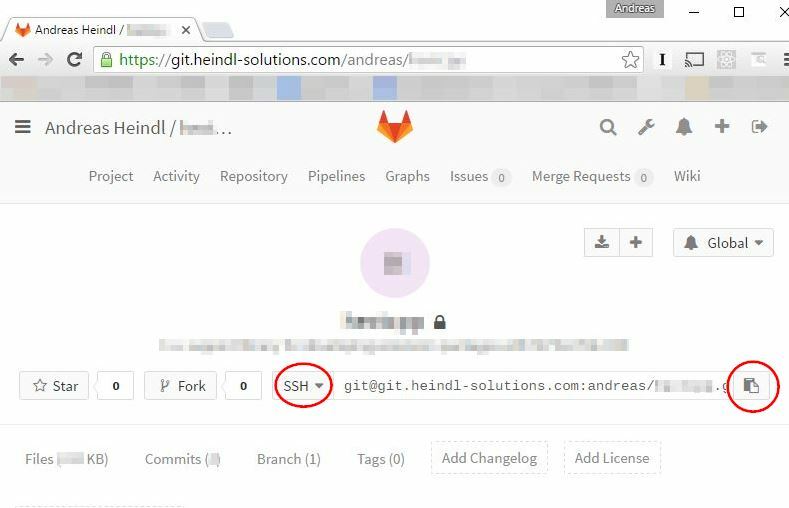 See a more generic overview on how git is used at heindl-solutions.com and a list of alternative Windows clients have a look at the page Usage of git.heindl-solutions.com first. Download TortoiseGit from https://tortoisegit.org/ . 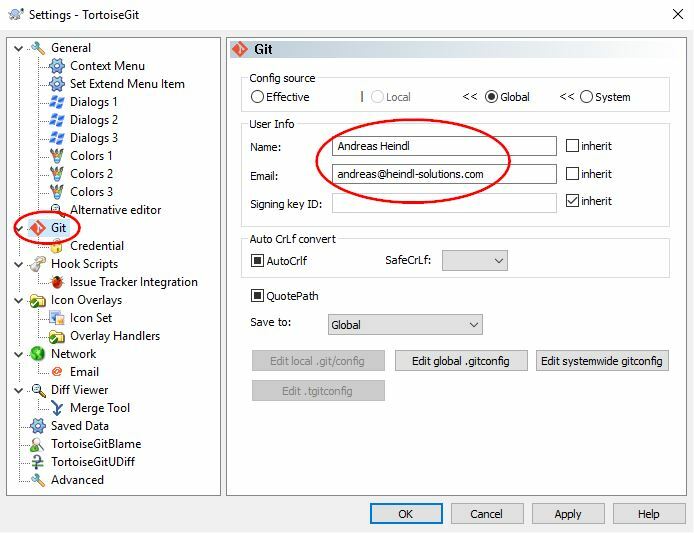 During installation, choose options Use Git from Windows Command Prompt, Use (Tortoise)Plink, Use MinTTY. Now install the git.exe command line executables. Download and install from https://git-for-windows.github.io/ . 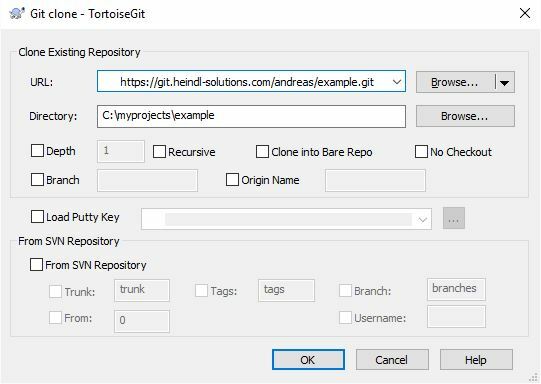 Clone a project from git.heindl-solutions.com. 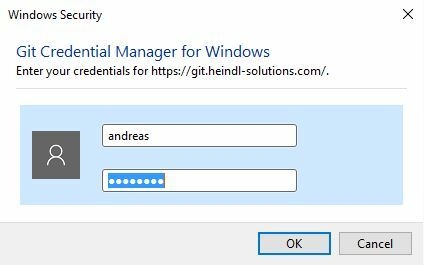 Log in at https://git.heindl-solutions.com/ with your git.heindl-solutions.com account. Click on a project to clone. Copy the URL by clicking on the copy button. 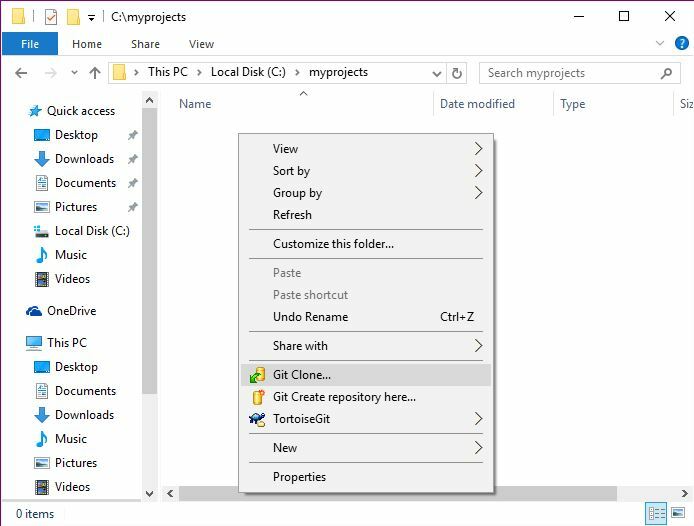 You should get the repository cloned into a subdirectory of e.g. myprojects. In the opening dialog window, the defaults should be OK. Click OK.